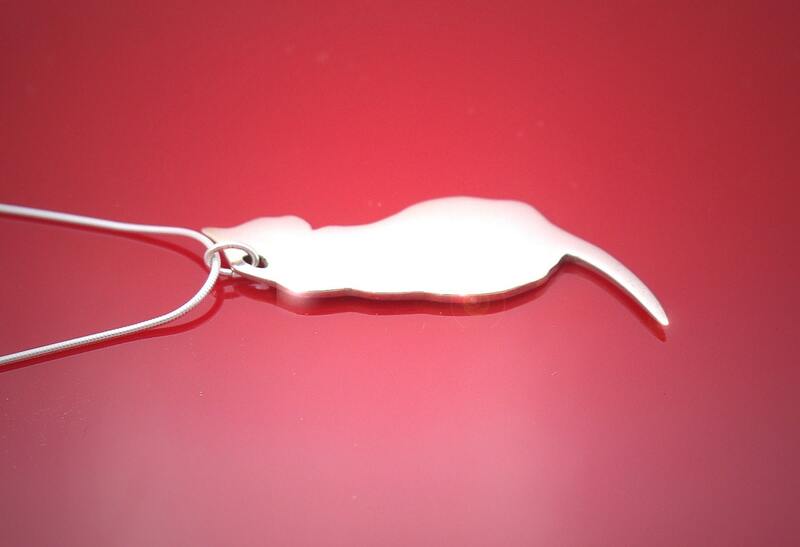 Silver Cat Pendant, Kitty Charm Jewelry. 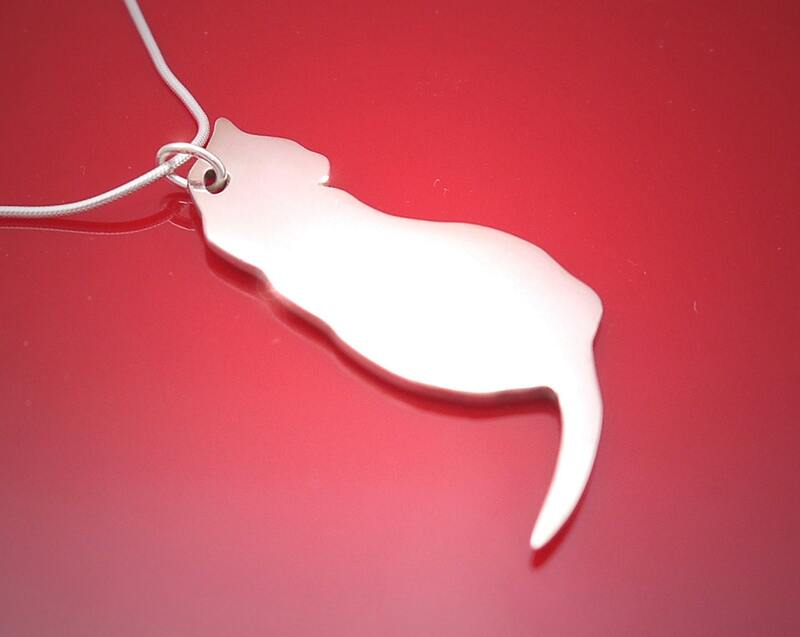 Perfect for Cat Lovers, as a cat gift for her or as a cat memorial. A black presentation box is included. 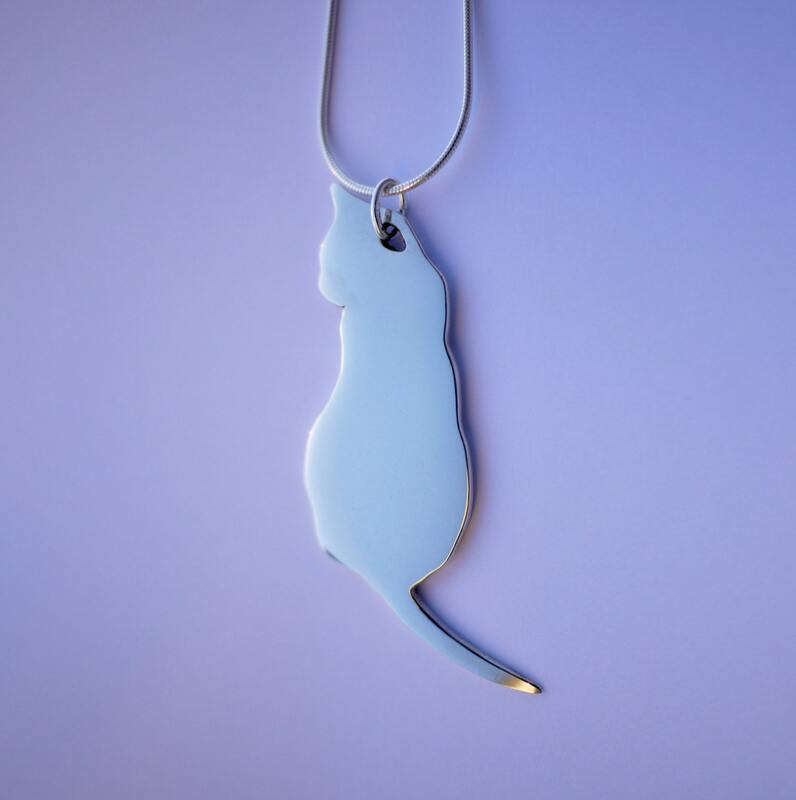 Please be careful guys - her tail is quite pointy. Not for children !